I purchased two patterns by Gertie when Butterick had a sale a few months ago. Summer dresses are my favorite when the weather starts getting hot and humid. I knew that Butterick 6019 would be a complicated dress from the start and that’s why I was a bit hesitant. 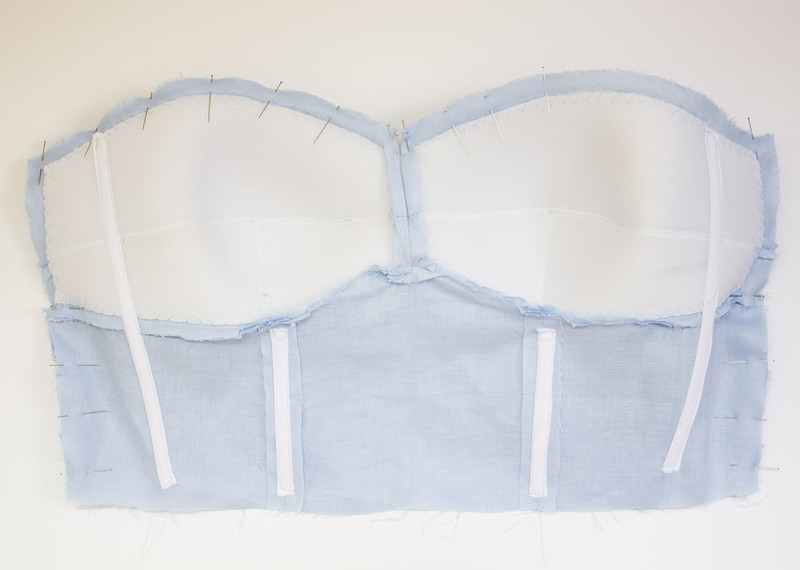 The top has lining, built-in cups and boning. However, I loved the style and wanted to try. This dress has definitely taken my sewing skills to the next level. It is one of the most complicated dresses that I made after this bridesmaid’s dress. I read all the information that I could find in blogs, sewing forums in facebook and google. I was in Istanbul for a holiday when I started making the dress so I bought light weight linen in blue from an online fabric shop in Turkey. I bought 3 meters (3 1/4 yards) because I thought that the circle skirt would need a lot of fabric and did not want to run out. I made a muslin for the bodice without the lining. It is important to do the shirring for the bodice side back to see the real fit because it shrinks the pattern pieces quite a bit. I tried the muslin and decided that the cut was too low at the top. Therefore, I added 2 cm (6/8″) to all the pattern pieces at the top. 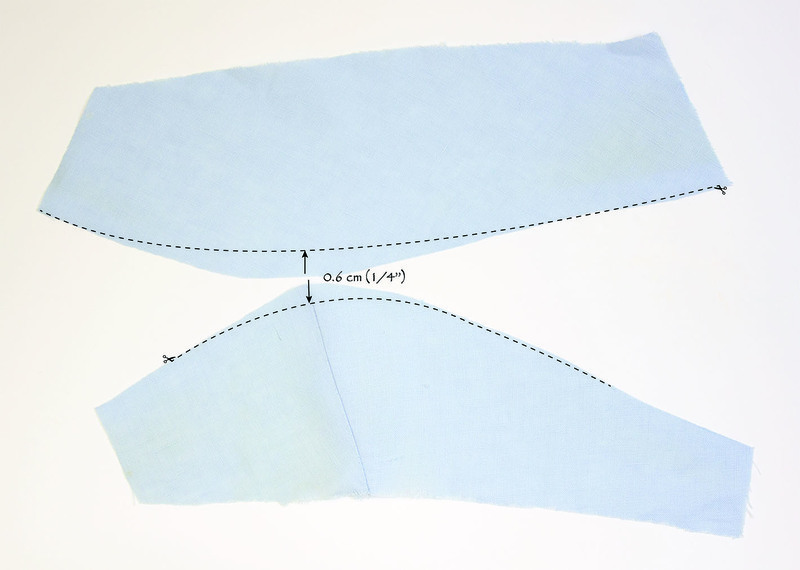 I also shortened the bodice by 1 cm (3/8″) so that it will sit on my natural waist. I also decided to take 1 cm (3/8″) from the sides to have a tighter fit. 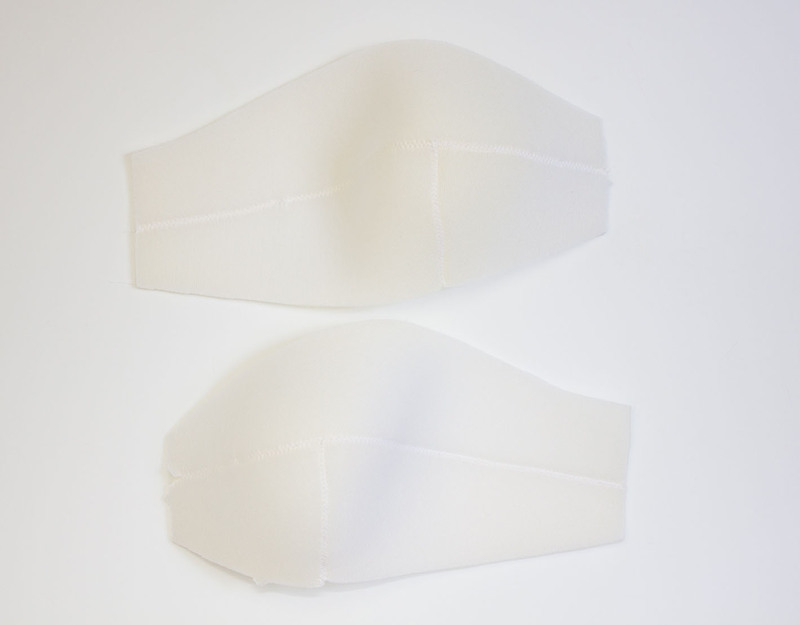 I bought bra foam for the cups and cut the bra pattern pieces without the 5/8″ seam allowance. 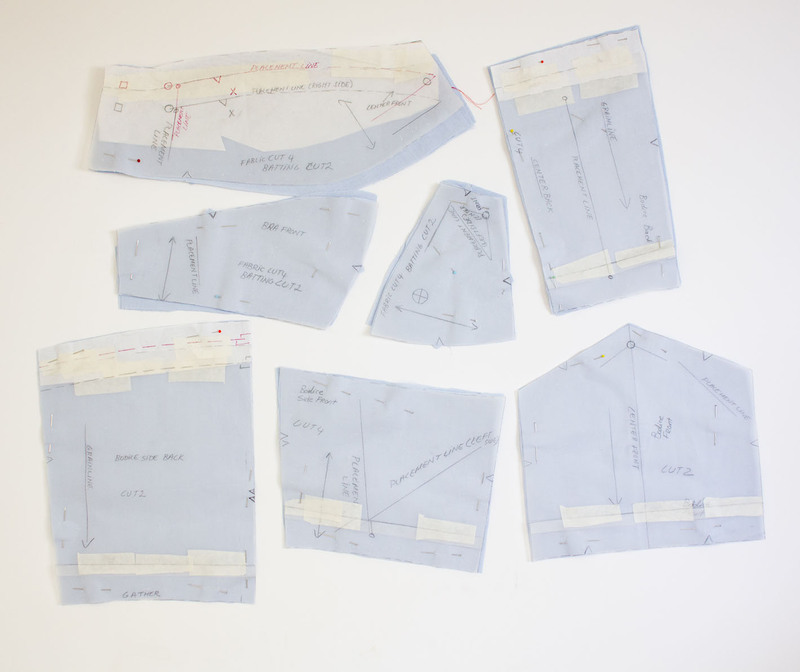 I sewed the cups by butting the ends of the pattern pieces together and zigzag stitching. I read in many forums that the cup shape of this dress has a tendency of being too ‘Madonna’ like. This basically means that the cup shape is too pointy at the apex. After sewing the muslin and the cups, I realized that this was also the case for me. I got rid of this by taking in 0.6 cm (1/4″) from the bra front in the following way. I could not find covered boning as instructed by the pattern. I used flexible white plastic boning. I bought white bias binding that is 2 cm (6/8″) wide and used it to make covers for the boning. I just pressed the bias binding in half and edge stitched on one side. 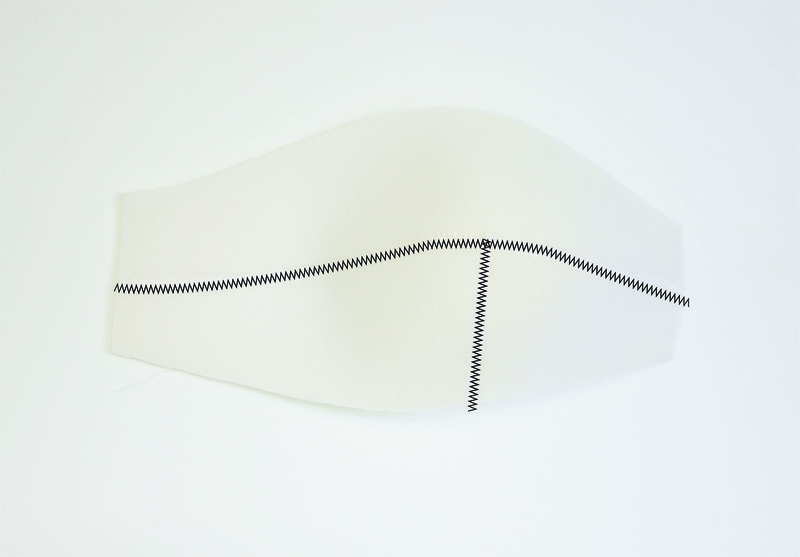 The boning has a tendency to curl before stitching. Therefore, I warmed it by slightly pressing with the iron and placing it under a heavy book to cool down for about 15 minutes. Here is how the lining looks with the cups and the boning. This dress is surely a lot of work but I am enjoying the process. I cannot wait to see how the dress will turn out.